Proving Undue Hardship in Bankruptcy: What is a "Persistent State of Affairs"? Bankruptcy Discharge of Student Loans Persistent State of Affairs Looking to have your student loans discharged in bankruptcy? Then your inability to pay must be a "persistent state of affairs." Find out why! In order to discharge a student loan in bankruptcy, a New Jersey debtor must prove that it presents an "undue hardship." Courts have ruled, however, that the undue hardship must last for a "significant portion of the repayment period" if they get a better job. The hardship itself must be, in fact, a "persistent state of affairs." This is done by proving that additional circumstances exist indicating that the debtor's state of affairs is likely to persist for a significant portion of the repayment period of the student loans. "choice to work as a pastor of a small start-up church cannot excuse his failure to supplement his income so that he can meet knowingly and voluntarily incurred financial obligations. By education and experience, he qualifies for higher paying work and is obligated to seek work that would allow debt repayment before he can claim undue hardship." Have You Earned More in the Past? In another case the debtor was over 40, was the single parent of a seven-year-old, and was self-employed as a decorative painter. However, she had an associate's degree in tourism as well as a real estate license, and in the past, she had had higher paying jobs (e.g. restaurant manager of the Queen Mary in Long Branch, CA). The court ruled against her dischargeability action, noting that having a low paying job "does not in itself provide undue hardship, especially where the debtor is satisfied with the job, has not actively sought higher-paying employment, and has earned a larger income in previous jobs." Outstanding student loans continue to be a real problem for many New Jersey residents. 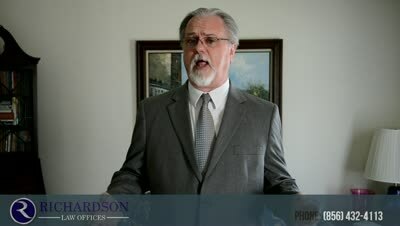 If you live here in southern New Jersey, have a student loan that you cannot repay, and you believe you meet the standards for "undue hardship," then feel free to call me at 856-432-4113 or contact me through this site for a free consultation in my Woodbury office to discuss your options. If you would like more information about student loans and options other than bankruptcy to resolve them, you can download my free book, I Graduated; Now What? A Guide to Dealing with Your Student Loans. Proving the Undue Hardship of a Student Loan in Bankruptcy: What is a "Good Faith Effort to Repay"? ?Can a NJ Chapter 13 Bankruptcy Continue After a Debtor Dies? ?Are Car Title Loans Legal in NJ? ?If my economic circumstances change, can I change my bankruptcy plan? ?If I am married, does my spouse have to file bankruptcy too? ?As a homeowner filing a NJ bankruptcy, what do I do if a creditor enters a judgment against me?